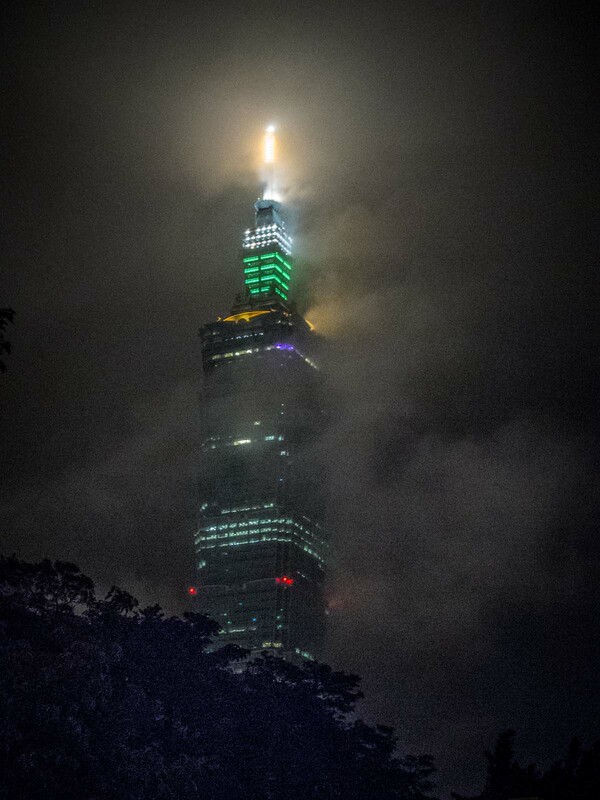 Taiwan « Where in the World are the Brills? 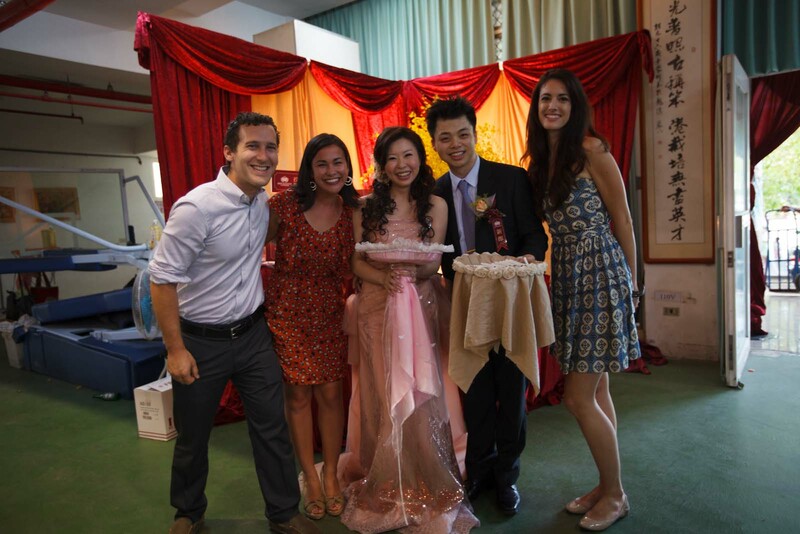 Our main reasons for visiting Taiwan was to visit my childhood friend Annie and to attend my friend Eric’s wedding. We had built up an idea in our heads that since we were arriving to a big city in a developed country, travel would be much easier. But after arriving we had a funny revelation that the opposite actually tends to be true. When you are traveling way off the beaten path in an undeveloped part of the world, it seems like there is always someone waiting there who has learned just enough English to help you get to a guesthouse, get some food, and possibly offer you a tour. 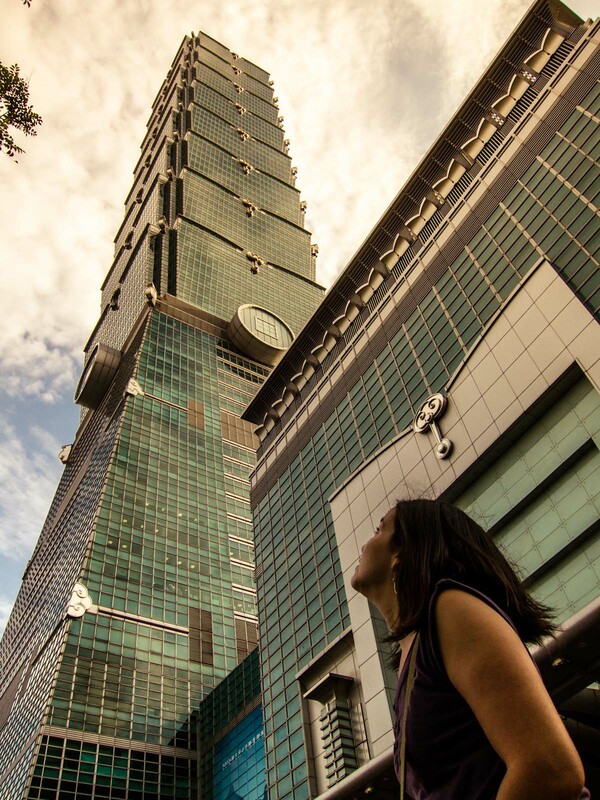 But when you arrive in a modern city that has many other industries besides tourism–like Taipei–then it can actually feel more exotic then when you’re out in the jungle. Menus were all in Chinese. Street signs were nowhere to be found. We couldn’t find an ATM that would accept foreign cards and the only reason we ever found our hotel was because we happened to bump into a Japanese business man that knew the way and we could communicate with him in broken Japanese and English. 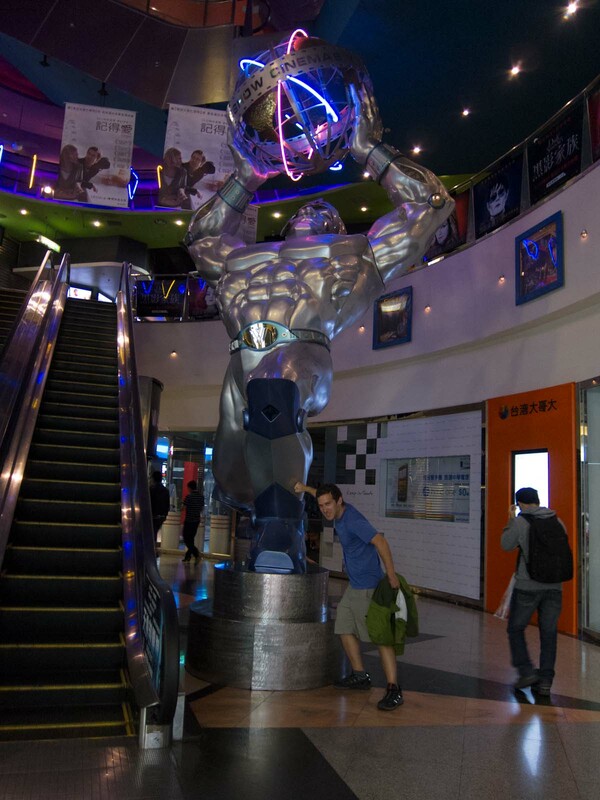 All that being said, we were happy to enjoy some of the modern facilities in Taiwan like a huge technological movie theater complex where we were able to sit down, relax, and watch Avengers in 3D! It was really great to catch up with my friend Annie. 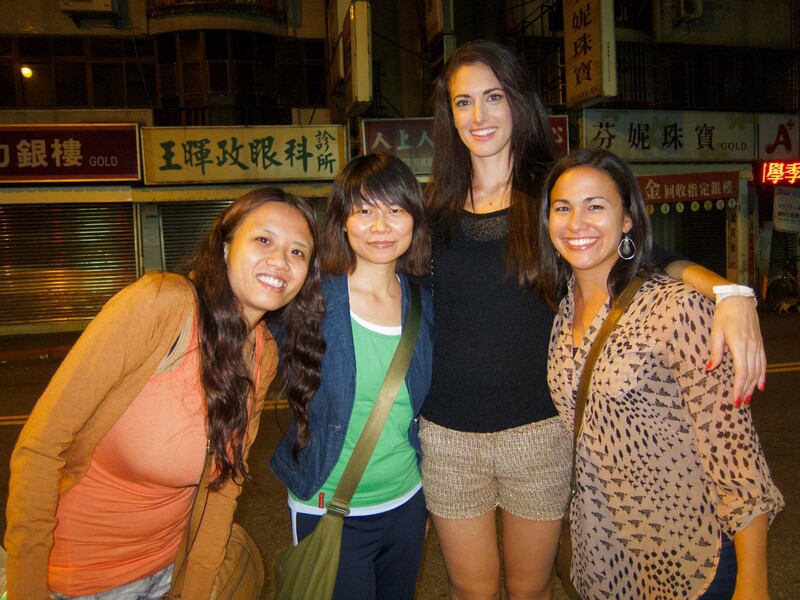 We went to school together from kindergarten, all the way through university at UCSB and now she teaches English to little kids in Taipei. She had some hilarious stories about her adventures in teaching. We also got to meet a few of her friends, Lydia and Theresa, and we all had a great time hanging out and eating hot pot. 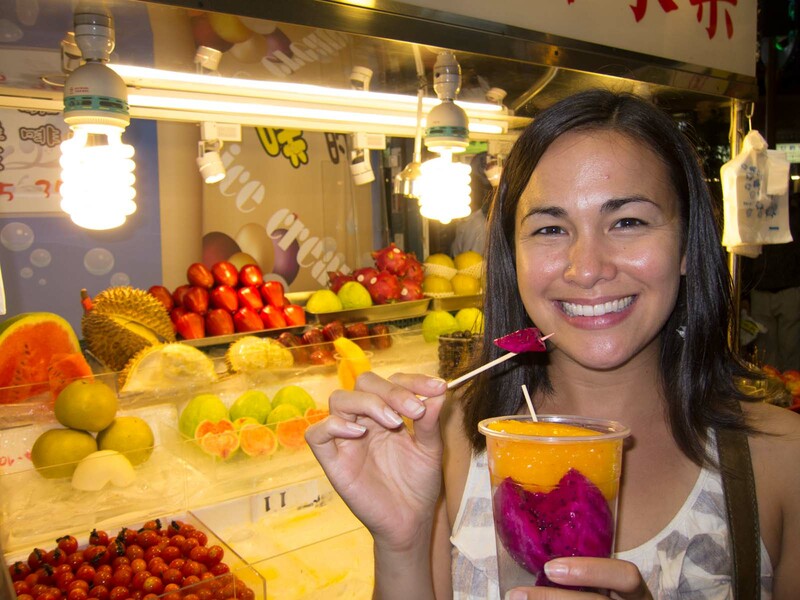 Annie also showed us around some of the famous night markets in Taipei including Shinlin. 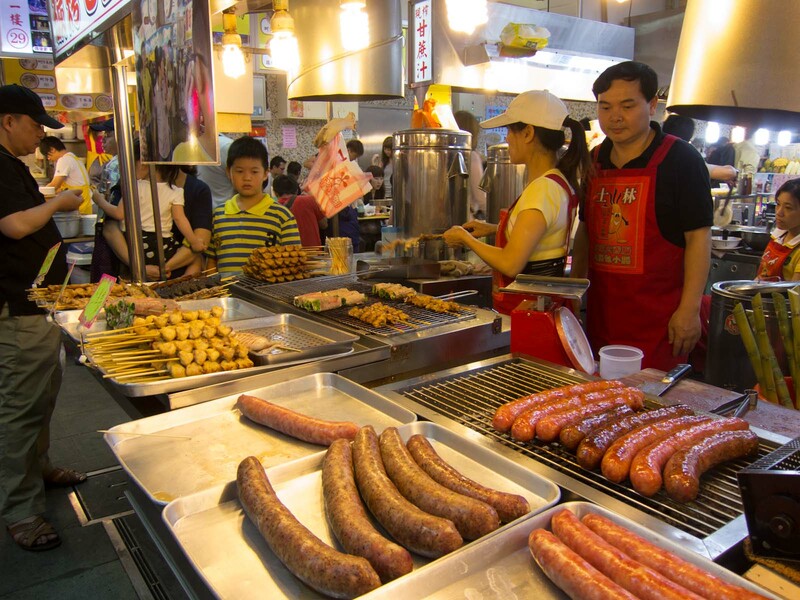 There are hundreds of shops and food stalls, both under and above ground. 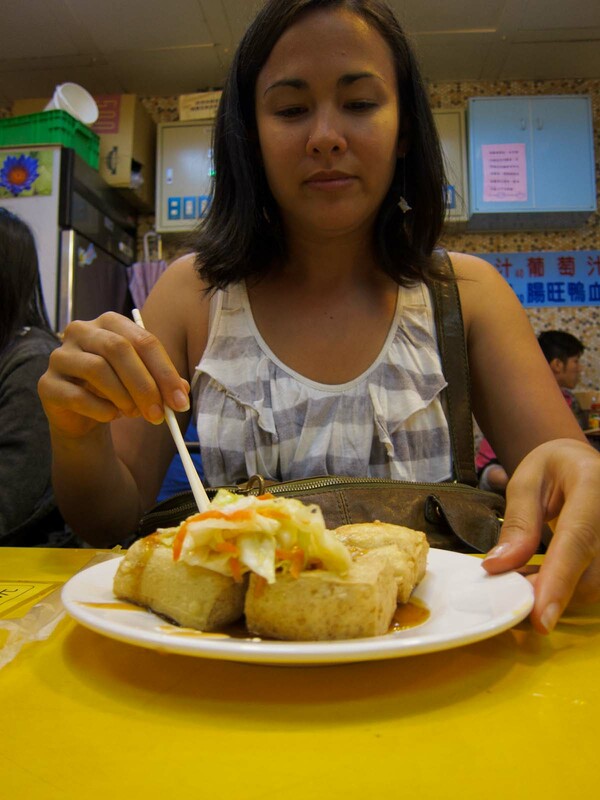 For some unknown reason, Mandy decided to try the local favorite of stinky tofu, an unfortunately named dish that makes a city block smell like a cat litter box. I took a bite and almost threw up in my mouth so I’m not sure how she ate four pieces of it. I guess it grows on you…or something. I decided to try some sort of burrito thing filled all the way through with mashed up fried pastry flakes. I accidentally bought three of them and each had a different topping (peanuts, black pepper, and chili powder). 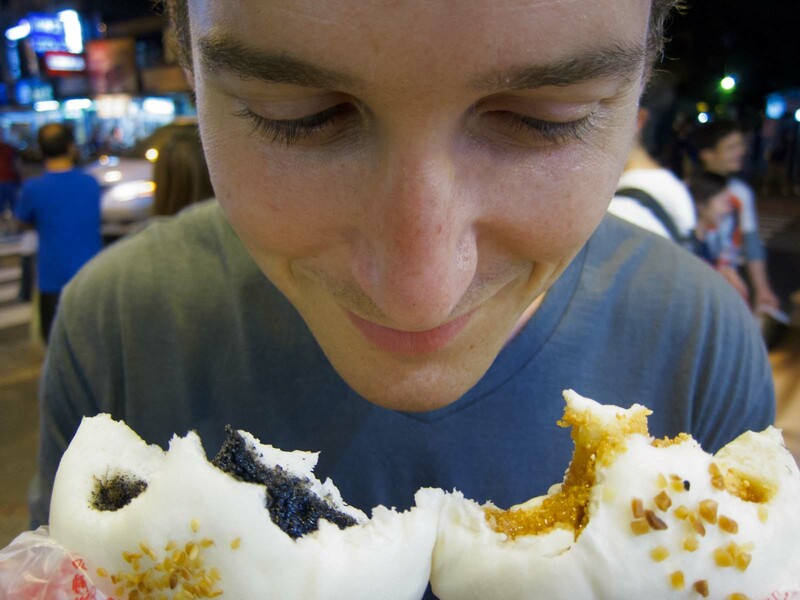 By far, my favorite street food that we ate were steamed buns filled with hot peanut butter for dessert! 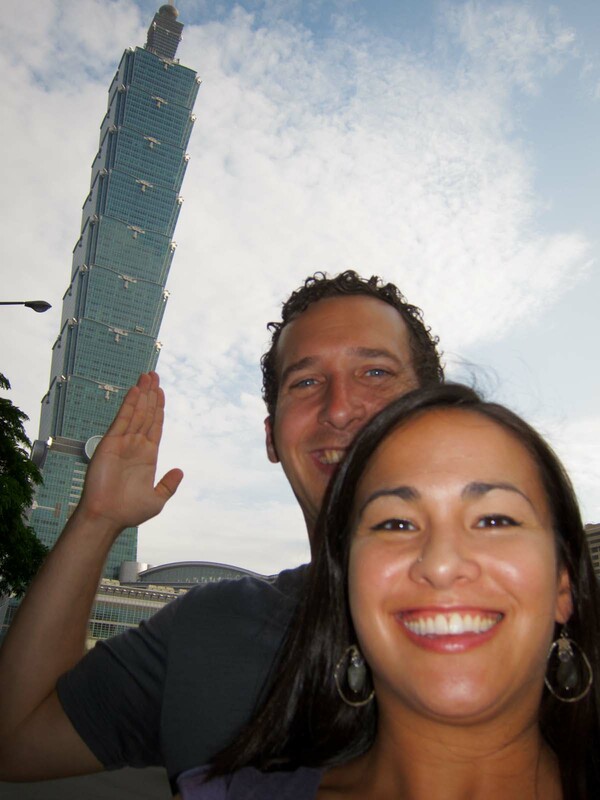 We didn’t realize this when we arrived, but Eric’s wedding was actually at the complete opposite end of Taiwan from Taipei, in an elementary school. Luckily, there is a very fast and efficient high speed rail system. Unluckily, it was Mother’s day so every seat was sold out, all the stop names were only in Chinese characters, and all of the ticket attendants only spoke Chinese. Annie met us at the train station and we finally worked out that we could take a slow train part way there, then transfer to a taxi…but we would have to stand…and the ride was several hours long. So we did. Then after what seemed like an eternity we arrived…at the wrong station. And not just sort of wrong. Wrong by about a hundred miles. When we got off we tried to ask a taxi driver to take us to the elementary school and just stared in confusion. Finally after a crowd of ten people came over to see what was happening, we figured out how far we still were. With the wedding’s start time rapidly approaching, we ran back to the station, bought new tickets, and stood on the train for another hour. When we got to the correct station, we jumped in a cab and went to an elementary school way out in the countryside, where the bride had attended. 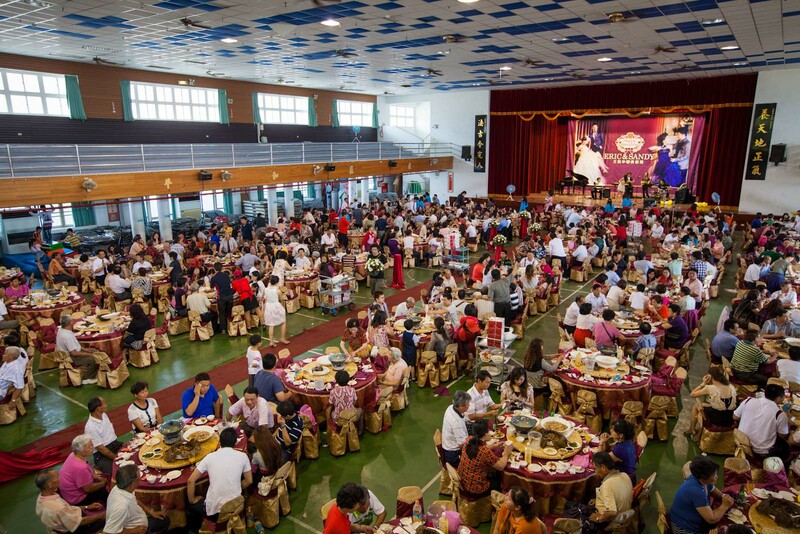 As we approached the event hall, roughly ninety minutes late, we saw caterers outside with the biggest soup pots I had ever seen and dozens upon dozens of tables and tents preparing food. 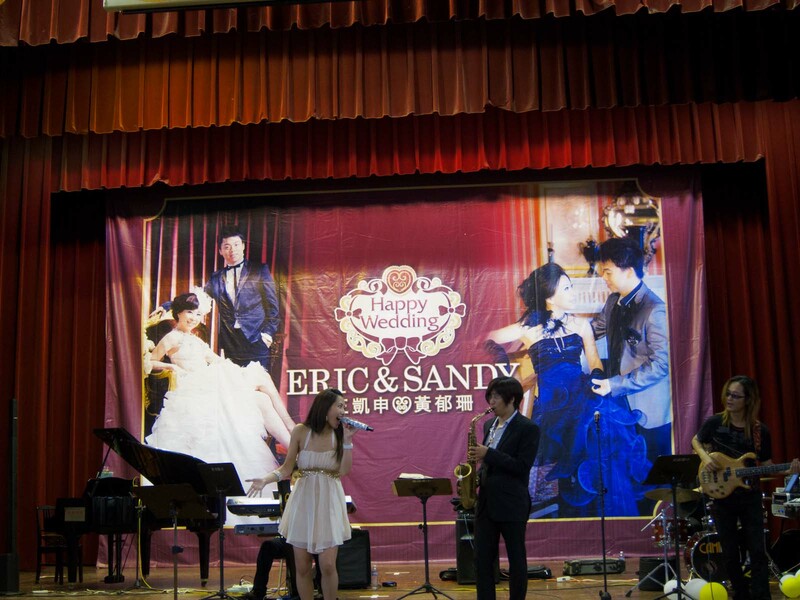 Then we we entered the side entrance, I was so happy to see my friend Eric and his new wife Sandy dancing on the stage. We had arrived! 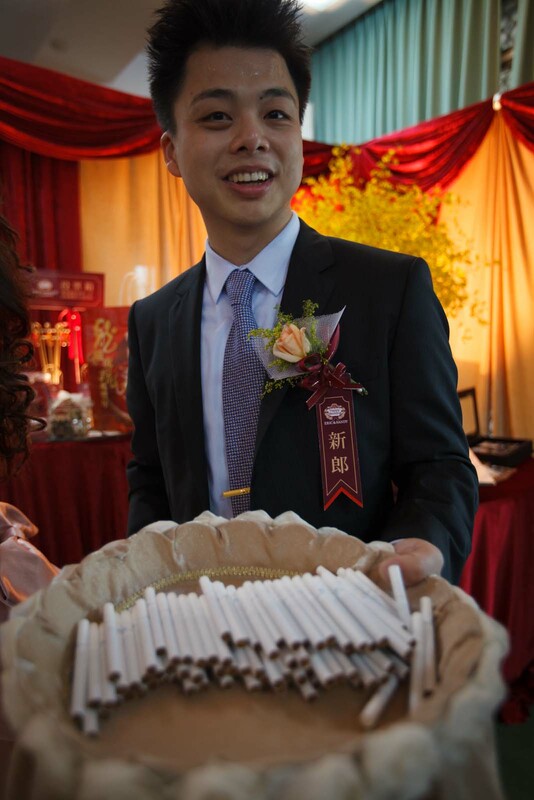 After standing in the entrance looking confused for a few minutes, surrounded by 670 Taiwanese guests (I found out later that there were 67 tables of 10 people each! ), some of Sandy’s English speaking friends came over and escorted us to their table. 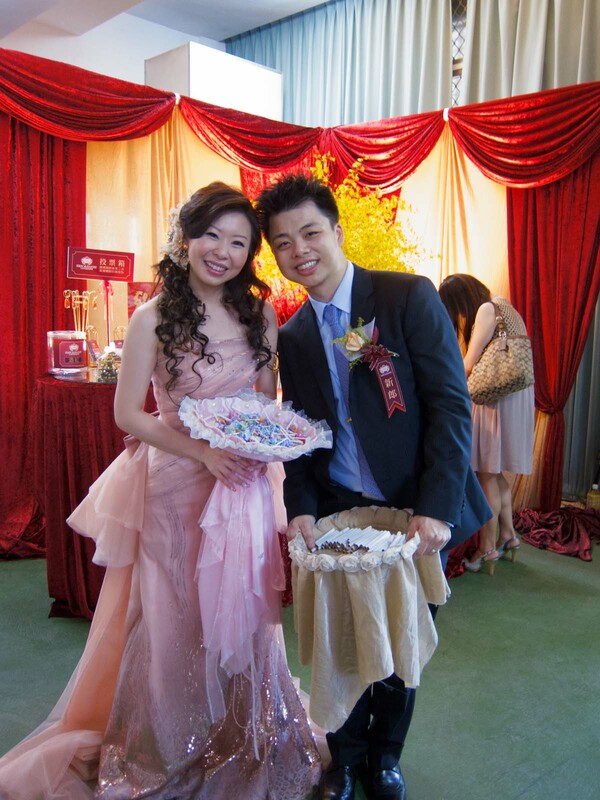 We were sad to have missed the opening part of the wedding but the feast was just beginning. I tried shark’s fin soup for the first time, abalone, a bunch of fresh fruit, and many other dishes along with never-ending wine. There were even a bunch of Heineken girls at the event giving out beer! 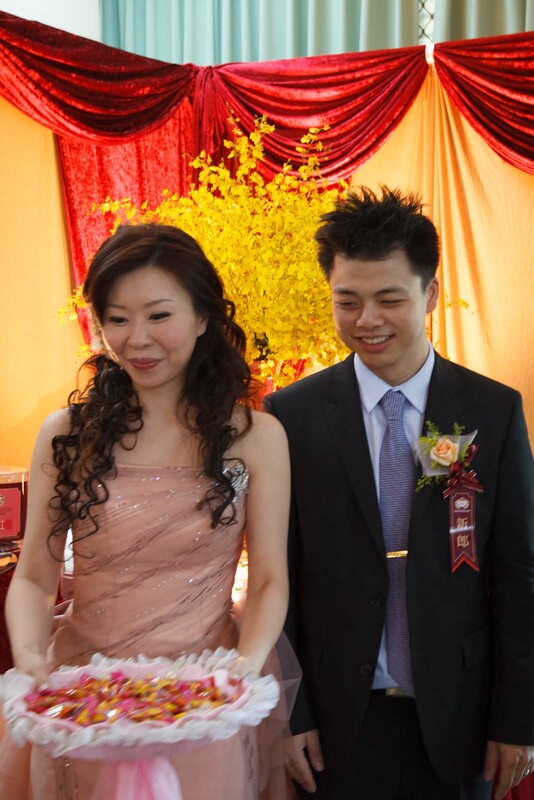 But best of all, Eric looked so happy with his beautiful new wife Sandy. Then, suddenly it was over. Everyone got up and left, abruptly. Eric and Sandy moved near the entrance while she handed out candy (for fertility) and he handed out cigarettes (for non fertility? No one seemed to know the meaning behind the tradition). 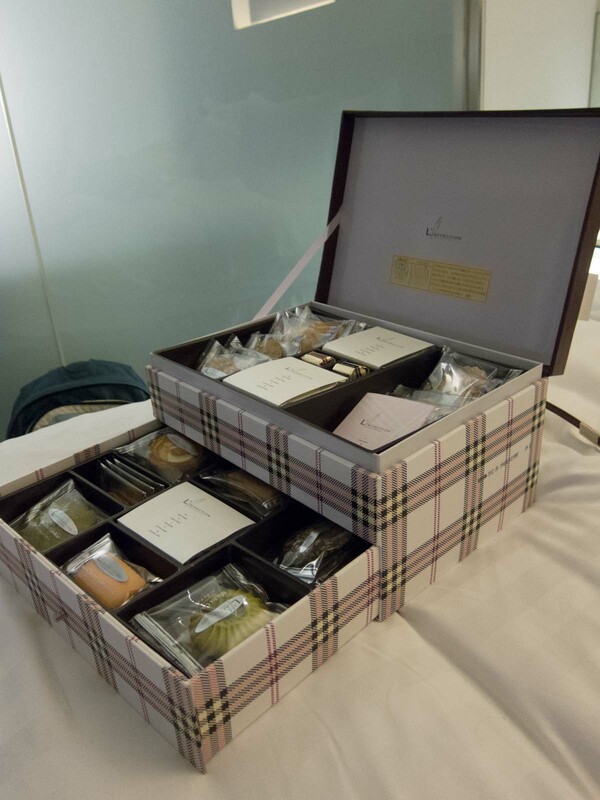 We were amazed when Eric handed us a special gift: an enormous Burburry-esque box filled with a decadent assortment of cookies. I was happy that we had a chance to chat and I got to meet some of his family, then a really nice family friend drove us back to the train station. He even bought us ice cream and coffee for the long standing-room only ride back to Taipei. Back at our hotel, we were too exhausted to go get dinner so Amanda and I ate some cookies. Almost all of them actually. And they were awesome. 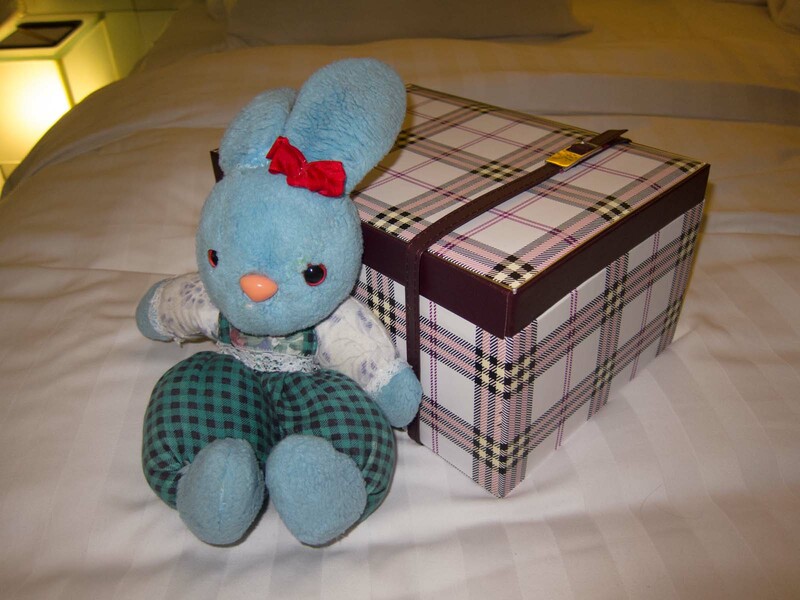 Then we woke up early the next morning and flew to Hanoi, Vietnam.